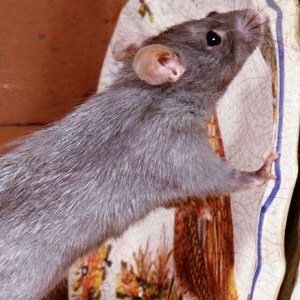 Rodents – most commonly rats or mice – in the home or workplace can cause upset and problems. A Falcon trained technician will carry out a free survey to assess your problem, deal with the immediate issue and advise on and implement preventative solutions. Identifying access points is the first step and we often find that a conversation with the customer identifies likely sources, such as recent structural changes to the property or the outside area which have allowed the rats or mice an easy entry point. Targeted treatments are used to eradicate the problem. These include baited traps that are placed discreetly along the identified routes the rodents are taking. Blocking access points is the key to controlling rodent incursions. Any recent extension or external structural work, including cavity wall insulation may have created new entry points between walls and pipes, in the ceiling or loft space. Talking to the customer about recent changes may help to quickly identify and remedy the cause.